If you are looking for a facial with all the bells and whistles this is it! Combining AHA Exfoliation, LED Light Therapy, Oxygen Therapy and Plumping Mask, amazing results will be seen. The powerful natural skin nourishing proteins that we use at the Revive Skin Emporium re-store depleted, damaged cells to a more vibrant youthful condition. 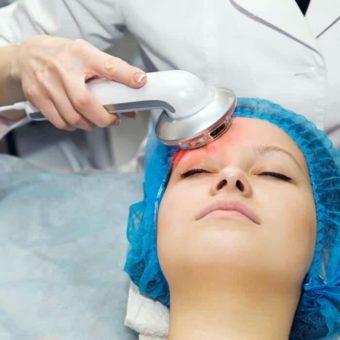 Collagen is stimulated, fine lines and wrinkles are plumped and filled out to give a smoother appearance and skin tissue becomes instantly firmer and toned. Results are dramatic after one treatment. A single treatment will produce visible immediate results and is an excellent introduction to home care.